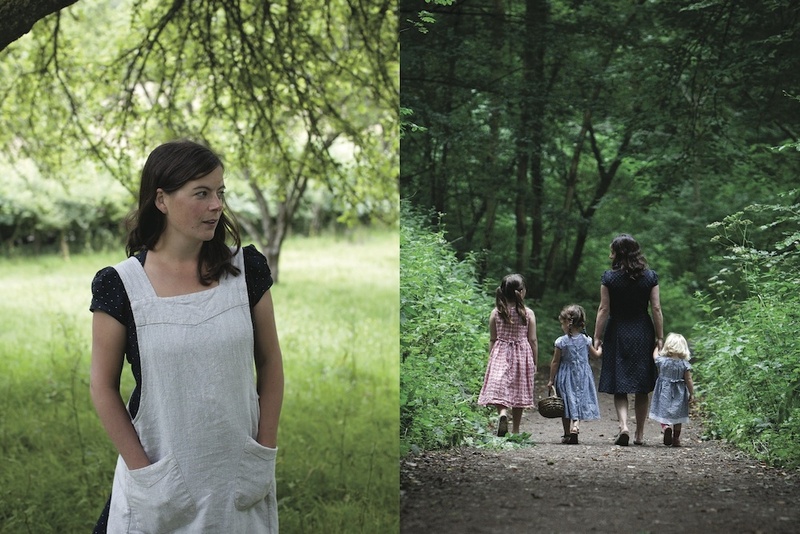 Anna and Lesley both live in Lee, south east London, with their toddlers Lara and Ollie, after whom they named the business. 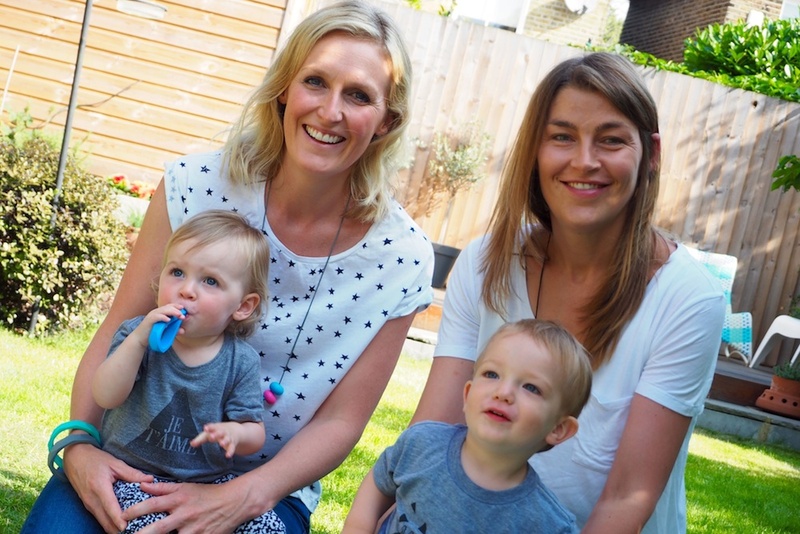 They met at an National Childbirth Trust (NCT) group just before their babies were born. What gave you the idea for Lara and Ollie? Our kids were the inspiration behind our business. We both love jewellery and accessories but quickly realised when we became mums that we had to stop wearing it due to chewy mouths and grabbing fingers. Having made jewellery for fun a few years back we loved the concept of teething necklaces but couldn’t find any we really liked. So we made ourselves a few with designs and colours we loved. 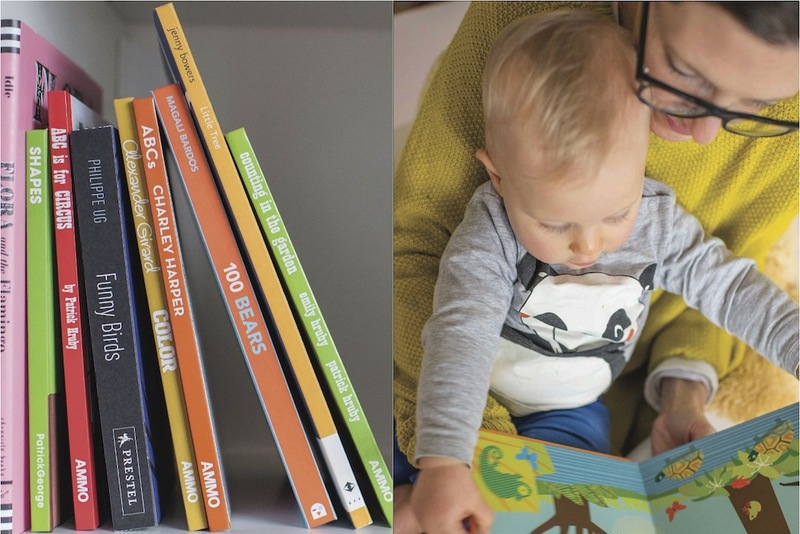 We had amazing feedback from friends as well as mums who we were getting to know locally – all of whom wanted to know where they could buy them. So we thought: why not give it a go. And here we are! We had the idea in the summer of 2014 and launched in March 2015. Can you explain your products? 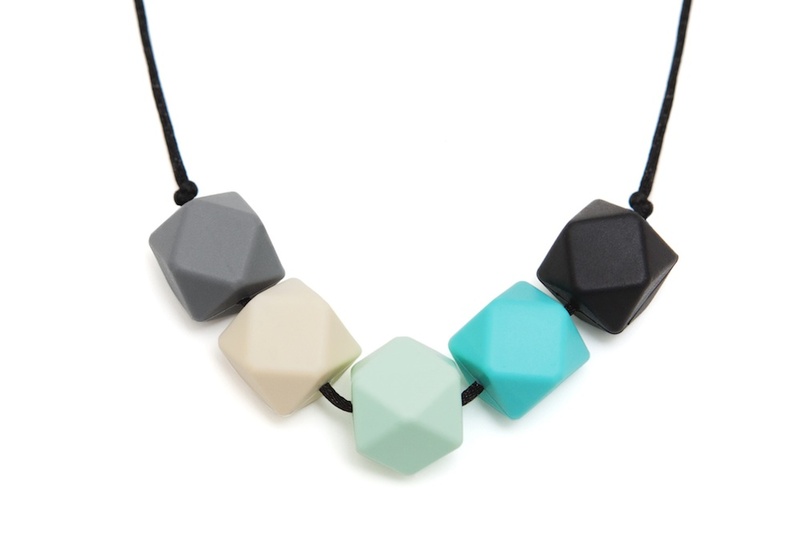 We design and sell silicone teething jewellery that’s stylish for mamas to wear and safe for babies to chew. Our aim is to break the convention of stereotypical teething jewellery with shapes, designs and colours that enable mums to accessorise an everyday jeans and t-shirt combo and feel like they’ve made an effort. What’s clever is that our necklaces and bangles are safe for babies to chew, fiddle with and enjoy too. 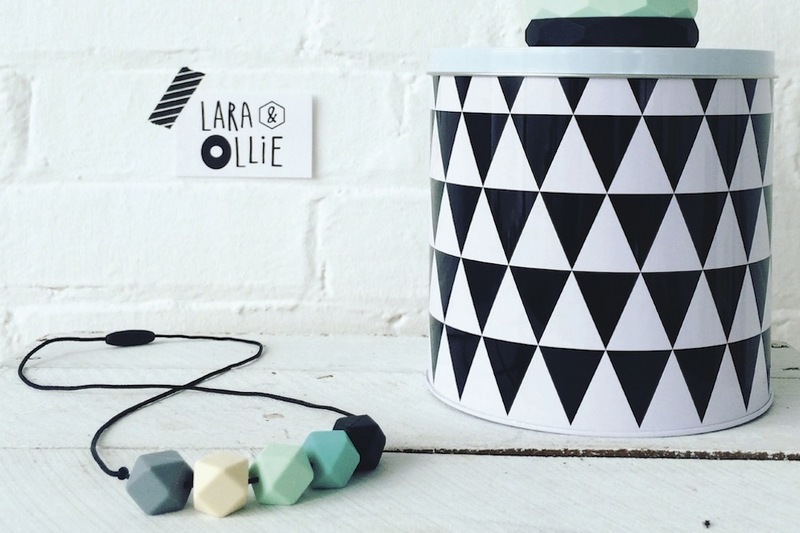 Our range features colourful and distinctive geometric shaped necklace beads and coordinating bangles that don’t look like teething items. Babies and toddlers are immediately drawn to the jewellery and instinctively want to give it a good chew, so whilst they’re great for sore gums and emerging teeth, they are also a useful distraction for a wriggler. The beads and bangles are made from food grade silicone that’s been independently safety tested in the UK. The necklaces feature a breakaway safety clasp in case chewing gets too enthusiastic. They’re durable and resilient and with a quick wipe or rinse in soapy water they’re as good as new. We have a successful range of necklaces and coordinating bangles selling on Etsy and through some shops in south east London and online. What have you found most challenging about setting up shop? As any new business does, we’ve had many challenges to overcome but perhaps the biggest challenge is juggling full time parenthood with running a business. Mainly because there just aren’t enough hours in the day to do everything. Lara and Ollie are great buddies which means they spend a lot of time together playing whilst we talk shop, but we’re hugely ambitious and sometimes we just have to prioritise and be patient, when really we want to do everything immediately. We’re not very patient! What were you each doing before this; what experience did you bring to the business? We think our skills are very complementary. Lesley, originally from Yorkshire, has a background in accountancy as well as retail, working for the likes of Banana Republic and Gap. Anna, originally from Jersey, has a background in marketing and PR – working with brands such as American Express and Hotel Chocolat. However, the most important experience we both bring to our business is being a mum. Mums who want to continue to look stylish and feel like we’ve made a bit of an effort to look good every day. We’ve also experienced a lot of teething – so know that chewy mouths and grabbing fingers find anything for some comfort and relief! As we’d only known each other for a few months we had no real idea who was good at what so just threw ourselves in. We tend to share the load fairly evenly and work brilliantly as a team as we have a very aligned view on what we want to achieve, the brand we want to create as well as the designs, colours etc. That said, Lesley is definitely better with numbers and loves a spreadsheet, and Anna has lots of writing experience so tends to do the words. What makes your teething jewellery different to what’s already out there? We would like to think there are two things that set us apart. Firstly, our necklaces and bangle colours and designs – we keep our range simple and stylish with seasonal collections and on-trend combinations. However, we’re not going to claim that this truly sets us apart because anyone in our market can say that! Our aim is that our brand sets us apart – every marketeer’s dream! We’re aiming to be modern, sleek and simple; both in terms of design and photography as well as copy. We want to appeal to mums as women, not mums as mums, so whilst our products are brilliant for soothing gums/teeth, we’re primarily about helping mums feel stylish every day – so you won’t see anything baby-ish or twee from our brand or in our product range. Talk to people, make connections, use other people’s thoughts and experiences and be brave; it’s a rollercoaster, but an exhilarating, exciting one at that! Where do you sit in retail – is it a toy/accessory or straight up jewellery? As we’ve said, we’re all about helping mamas feel stylish and feel like they’ve made an effort every day, so our products sit amongst jewellery. Although given the retail outlets that currently sell our products, we sit within mama accessories, so alongside brands such as Tiba + Marl who are also aiming to create stylish brands/accessories for that happen to have a useful function. We are very clear that our products are definitely not toys and the necklaces in particular should never be given to a baby or child to wear. Do you make everything by hand, or do you outsource? We work with our manufacturer to create specific colours of beads and co-ordinating bangles, then design our own necklaces. We then make them by hand ourselves. As well as your products, you offer workshops so that parents can make their own teething jewellery – who can/should come to these events? We’re aware that everyone has their own individual styles and whilst we try to create a range that caters for lots of tastes, we probably don’t have something for everyone. 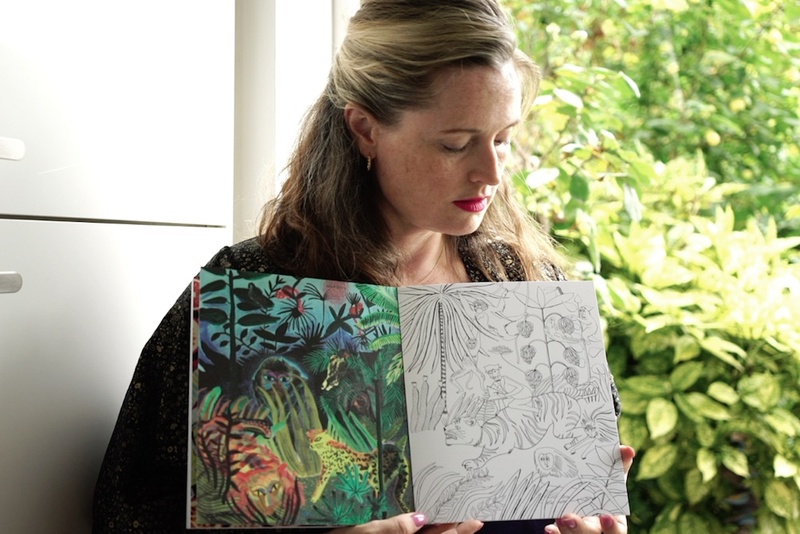 So we do two things – firstly we work with retailers to create bespoke colours and collections that they then sell exclusively – they know their customers so it’s great to be able to offer them something really specific. And secondly, we run pop-up design your own necklace workshops. We’ve held a few really successfully so far this year and the feedback has been great. People have loved coming and having a play around with colour combinations not only for themselves but as gifts for others too. And it’s not just mums coming along – we’ve met lots of grandparents, sisters, aunties – even a few dads! How is it, being both a mother and running a business? It’s not easy. But if you have a good idea, that you really believe in, it’s really exciting and motivating and it’s what keeps you going. We tend to work when our babies sleep, so have been militant about building a good day time sleep routine for our little ones. The minute they’re in bed, we’re working. But of course throughout the day we’re taking calls, on email and social media – we’ve become masters of pushing a buggy whilst emailing/texting/posting! The reality of working for yourself also means we work evenings and weekends too. Daddy daycare gets booked in on a Saturday and we’ll get together or go to a fair or event. We generally tend to forgo day-to-day life admin – and we’re lucky that our husbands are hugely supportive and understanding. Piles of washing get ignored and cooking dinner becomes another takeaway! It is, however, difficult to switch off. And sometimes the most important thing is to take time away from the iPad/iPhone and not talk about the business. It’s all-consuming – in a good way – but often the best ideas come when you’re not thinking! What is the dream, business-wise? Ha ha, now that would be telling…!!! Any other comments on motherhood/business…? We’d say being a mum is hard work. And running your own business is hard work. However if you have a gem of an idea and the opportunity to pursue it, go for it. There are lots of incredibly inspiring ‘mum entrepreneurs’ out there at the moment, coupled with a trend towards people wanting to support more local and small businesses so get out there, talk to people, make connections, use other people’s thoughts and experiences and be brave; it’s a rollercoaster, but an exhilarating, exciting one at that! Posted in Work Life and tagged jewellery, toddlers teethin jewellery. Bookmark the permalink.